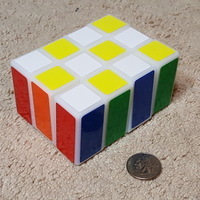 Summary Picture shown above is of a print by chilnic. 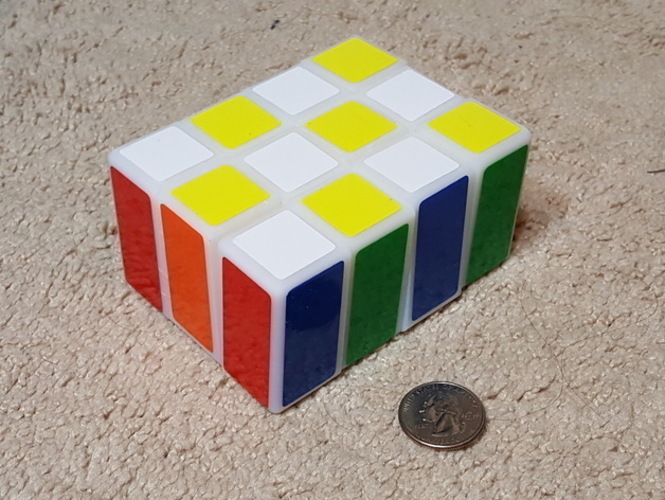 For best results, scale the pieces up 27x. 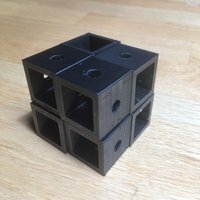 Print each piece the number of times the .stl file instructs. 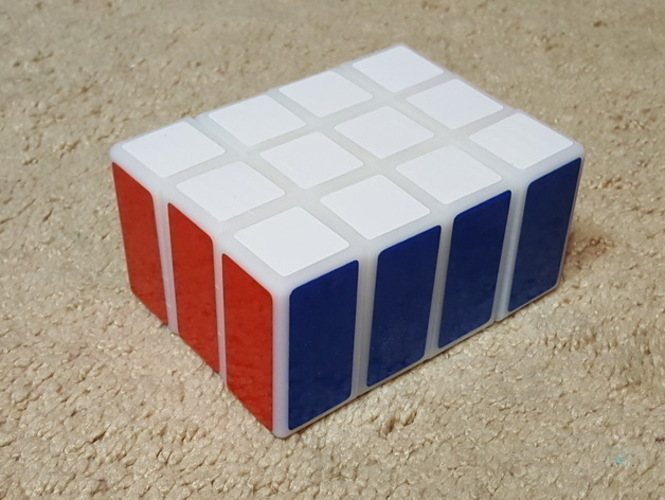 I used some Shengshou 7x7 stickers, and one 6-32 self-boring screw. 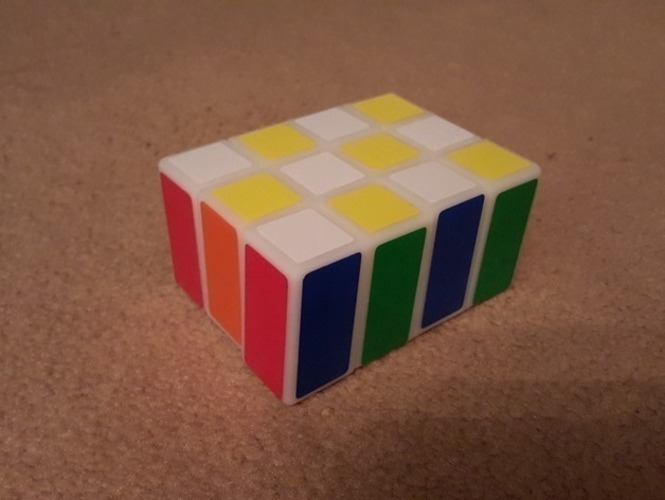 This is a 1x3x4 Rubik's Cube type twisty puzzle. 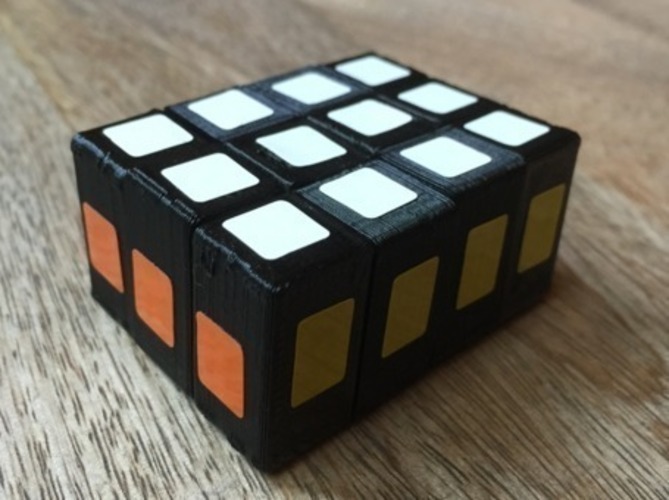 It turns by increments of 180 degrees in all directions, and, like most 'floppy puzzles', is pretty easy to solve. Enjoy, and please post some pictures if you make one! https://www.youtube.com/watch?v=0dFkDBKy2VI How I Designed This As you can see, the mechanism is kind of unique. 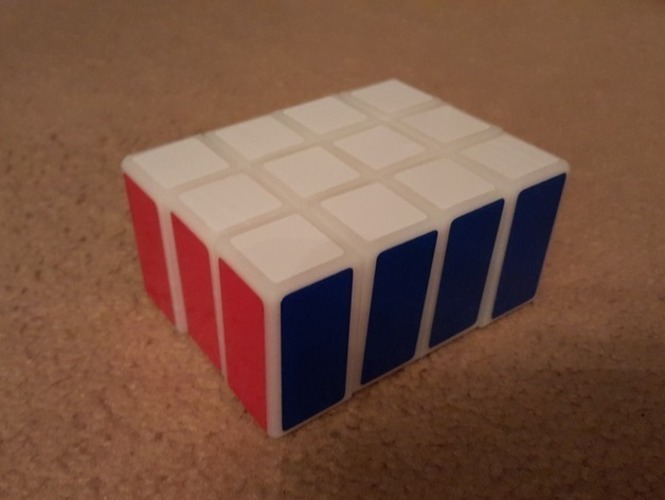 I discovered that by starting with a 1x2x3 as a base, nearly any floppy cuboid can be built off of it.